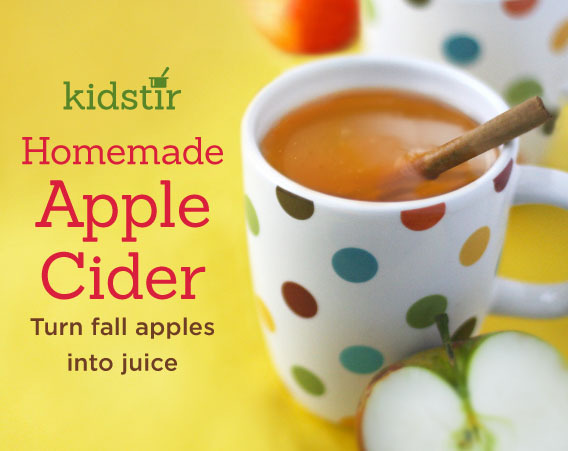 If you love the taste of fresh apple cider, but you don't own an apple press, here’s a way to make it in your very own kitchen. Pick up some apples at your local orchard and get cooking with this stovetop recipe. 1. A grown up should help peel, core, and cut the apples into eighths. Add the apples to a large pot with the water, cinnamon stick, vanilla, and sugar. 2. Bring the pot to a boil over high heat. Boil for about 30 minutes, uncovered. Then, cover and simmer on low heat for about 2 more hours. Stir the mixture every so often to break up the apples. 4. Serve the cider warm or with skulls and bones cubes from your Halloween kit.